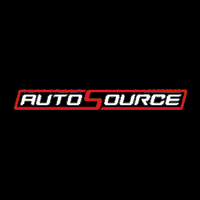 AutoSource, the largest dealer of branded title cars in the United States, has acquired 82 vehicles that were totaled during recent flooding in South Texas. The flooding was a result of heavy rainfall in late June, 2018. Some reports stated that as much as 33 inches of rain fell in 48 hours. Based on the amount of rainfall and damage that the flooding caused to car dealerships, insurance companies have come in and written off entire lots at once. This led to thousands of vehicles being salvaged regardless of the level of flooding to which they were exposed. Vehicles will go through Water Recovery Process before being sold to the public. Mission, Texas. — AutoSource, the largest dealer of branded title cars in the United States, has acquired 82 vehicles that were totaled during recent flooding in South Texas. The flooding was a result of heavy rainfall in late June, 2018. Some reports stated that as much as 33 inches of rain fell in 48 hours. Based on the amount of rainfall and damage that the flooding caused to car dealerships, insurance companies have come in and written off entire lots at once. This led to thousands of vehicles being salvaged regardless of the level of flooding to which they were exposed. AutoSource’s purchasing & inspection teams handpicked and purchased 82 of the best vehicles, comprised primarily of new Mitsubishis & Volkswagens. All vehicles will be reconditioned and go through the same 151-point inspection. After this Water Recovery Process they will then be sold in our inventory with “Branded Titles” offering tremendous savings & value to car buyers. “We’re very excited about this new inventory. Our sourcing teams do an amazing job of finding, inspecting & purchasing great vehicles that will offer our customers tremendous value,” said Chad Cannon, Senior Marketing Director at AutoSource.